Dr. Elisa Choi is the Chairperson of the Asian American Commission of the Commonwealth of Massachusetts and the chair of its Health and Human Services Committee. She is also the Governor-elect of the Massachusetts Chapter of the American College of Physicians, where she will become the first female Governor in the chapter’s history, and the first Asian American woman to hold this position. She is Board Certified in Internal Medicine and Infectious Diseases, and practices both as an Internist and as an Infectious Disease, HIV, and Hepatitis infection specialist. Dr. Choi has a particular interest in health care disparities, and in providing culturally competent care of health issues affecting Asian-Pacific Islander and minority populations. Dr. Choi currently holds various leadership roles in the Company One Theater, Korean-American Citizens League of New England, Massachusetts Asian & Pacific Islanders for Health, and the Boston chapter of the National Association of Asian American Professionals. The views and opinions expressed in this interview are exclusively those of the interviewee and do not necessarily reflect the policy or position of any agency or organization with which she is affiliated. This interview was conducted on April 5, 2017. 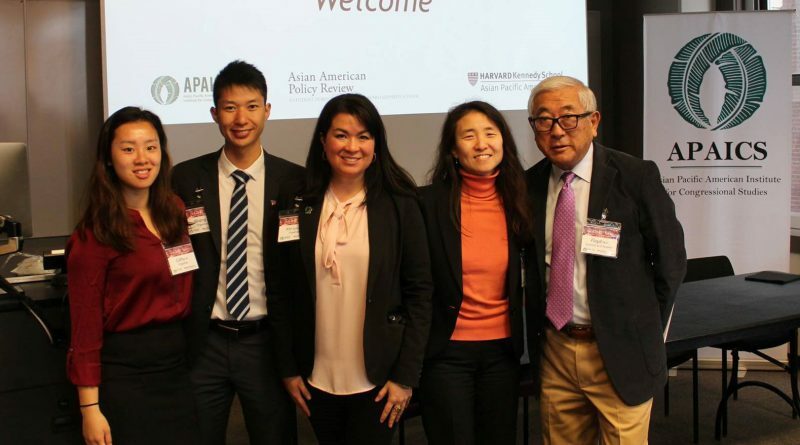 Asian American Policy Review (AAPR): Dr. Choi, thank you for taking time to speak with us today, and thank you for allowing the Asian American Commission to co-sponsor the Asian Pacific American Institute for Congressional Studies (APAICS) Young Leaders Summit in Boston. You mentioned in your remarks that your involvement in public service was rather unexpected. Could you tell us about your journey from practicing medicine to the many leadership roles that you have today? Dr. Elisa Choi: It really was an unexpected foray into public service—and more specifically, into public advocacy. I was introduced to the Asian American Commission (AAC) through my work with a community-based organization that was looking at equitable access to healthcare within the AAPI community. I agreed to serve on the Commission because I was interested in generating a political voice for AAPIs. I’m in my fifth year as a Commissioner, and it has been a real growing experience. My involvement with the AAC lined up with various roles on the American College of Physicians (ACP), which has a strong advocacy arm. So, just as I was joining the Commission, I also became more involved in national health policy advocacy—going to Capitol Hill, meeting with federal legislators, and learning about advancing a legislative agenda. Understanding the political process, generating a political voice, learning about how bills are passed, showing up and speaking at hearings—these are all tools that I’ve learned to utilize fairly recently through my involvement with ACP and the Commission. Dr. Elisa Choi (second from the right) with members of the APAICS Leadership Summit team. Photo by APAICS. AAPR: You are a passionate advocate of having people from diverse backgrounds—race, gender, or career field, for example—getting involved in positions of public advocacy. What makes this so important for you, and how have your different backgrounds and experiences shape your approach to public leadership? Dr. Choi: I became an advocate of diversity in all of its forms because of my interactions with people who come from backgrounds that are very different from mine. I recognized that I had opportunities to sit at the decision making table where it was very clear that I brought a viewpoint from my own lived experiences that would not have been represented otherwise. My commitment to having really good, diverse representation in leadership really stems from seeing how important it is to have different viewpoints represented when conversations happen and when decisions are made. It comes down to having adequate representation. When I come to the table and I’m the only woman, the only Asian American, the only physician—or whatever it might be—it brings a different perspective. Our country is getting increasingly diverse, and for that not to be represented at every level leads to decisions that do not fully represent all of our communities. I frankly think that whenever decisions are made that will ultimately affect people’s lives without those people being adequately represented, it’s a recipe for disaster. No matter what communities we’re trying to serve or represent, if we don’t have their actual, authentic voices represented, that’s really not representation. AAPR: I really appreciate what you’re saying because I’ve been wondering what it means to have adequate representation. What you’re talking about is not just proportional composition, but adequate and authentic representation of the community and its many perspectives in discussions and in decision making—and not just having the “right number” in a board or elected body. Dr. Choi: That’s right. I think that there has to be authenticity behind any attempt to diversify and represent well. And that’s where we need to be mindful of being inclusive rather than being exclusive. In my role as the current Chair [of the AAC], I’m very proud to say that we are the most ethnically diverse that we have ever been. That’s huge because we’re supposed to be representing all Asian Americans—but how can we do that if 80% of the Commissioners are Chinese American? We now have Cambodian, Khmer, Indian, Laotian, Vietnamese, and Korean Commissioners, for example—and all of that has to be there because we’re not all the same. When it comes to Asian representation, I’m certainly feeling the need to make sure that there’s authentic representation. There have been far too many situations where I’ve seen people in decision making groups who supposedly represent certain constituents but who are not part of those communities. So my question becomes: how can that really be authentic, and what gives you the right to speak on behalf of the community that you’re claiming to represent? AAPR: That’s really interesting. I think a lot of people don’t realize that the Asian American identity is actually a political identity. It was coined in the 1960’s as a way to bring together a lot of different ethnic groups who wouldn’t otherwise be working together. Could you elaborate on some of the experiences that shaped or informed the way that you view the Asian American political identity? Dr. Choi: I think that my first consciousness about these kinds of identities came about in college. Even though I often embarrassingly admit that I never took a Political Science class, I wanted to focus my attention on understanding what it meant to be an Asian American from a political standpoint. As I went through my professional training, this was something that stuck with me, but because of how busy I had gotten, it really didn’t had a chance to flourish until the last decade or so. If I really think back to why I felt the need to get involved, I remember that I come from a family that was never politically engaged. Like many Asian Americans, I was raised by parents who came to this country looking for better opportunity but never felt like they had an entry point into the political process. So in an unconscious way, that feeling of exclusion has resonated with me, and has been a reminder to me that if I feel excluded, there must be others who feel the same way. And you’re absolutely right what you said about the identity of Asian Americans. We didn’t coin a lot of the terms that define us—“model minority,” for example. Asia is a huge continent and some of those nationalities and ethnicities don’t identify as Asian. I don’t want to perseverate too much over the term, but I think that those of us who do identify as Asian American are at a very interesting tipping point. We are currently the fastest growing ethnicity—due to double in size in the next few decades—but we are far from well-represented in the political sphere and at the highest levels of professional life. But we’re really growing. Culturally, there has been a lot of inhibition about being vocal or too aggressive. So where do we take that? I feel that it’s been a long process for me to come to terms with what it means to be Asian American—and then translating that into personal and professional advocacy. It doesn’t have to be so obvious. I think that simply having an Asian American in a position that has never been held by someone who looks like us can make a huge statement: our successors now see that as a possibility where it may not have been before. AAPR: I actually wanted to ask about a part of your bio that was rather unexpected, which is that that you are a very active Board member of Company One Theatre, whose mission is “to change the face of Boston theatre by uniting the city’s diverse communities through innovative, socially provocative performance and developing civically engaged artists.” How did you first get involved with Company One, and what is it about the arts that inspires you to be involved? Dr. Choi: It really does seem unlikely—here I am, a physician who never starred in a production or was involved as a performer. It started as part of this evolution that I’ve just described to you. Becoming aware of identity and the importance of representation, I began to notice as a patron of the theater scene in the Greater Boston area that shows that had a substantial level of diversity were from Company One Theater. And then I saw one show called Neighbors which was riveting—I had never seen such a dynamic and provocative show that really made you think about what it meant to be of a particular race, what it meant to have race and racial identity in America. One thing led to another and I was asked to serve on their Board. I agreed to get involved because their commitment to social justice and to bringing equity through the arts lined up with the work I was beginning to do with the Commission. So back to the larger question of what the role of arts is in advocacy, particularly as it relates to Asian Americans. It comes back to what the possibilities are for Asians. We’re underrepresented in virtually everything; but in the arts in particular, it’s particularly insidious. Not only are we underrepresented, but we’re also white washed or treated as nothing but invisible background. So for us to start taking a central role in telling our own stories has a huge impact. If we can’t tell our own stories, then future generations don’t learn about what we’ve experienced. The arts have a way of bringing issues to light and telling these stories in a way that is uniquely compelling. Social media has also become a powerful tool. If a movie—take Ghost in a Shell, for example—is going to make a conscious decision to obliterate the Asian identity of one of its major characters, then we have an avenue to call that out and say “that’s not okay.” And we’re going to have enough pushback that people may not want to go see the movie anymore. That sends a message that the largely white producers of big Hollywood movies need to think twice about doing that. The arts are hugely important because they reach the masses in a way that political lectures can’t, and because it affects popular culture which, in turn, shapes the way that our community is viewed. If we hadn’t progressed from the racist caricature of Long Duck Dong in Sixteen Candles, think about how we’d still be viewed. We have a long way to go, but now there is so much more diversity in shows and movies like Fresh off the Boat, and even The Fast and the Furious series. What we see informs how we can view our futures. Frankly, the arts is not seen as a stable or desirable professional career path for a lot of Asians; we’re fighting against our own internal prejudices about it. But breaking through in the arts really sends a strong message and impacts how the larger society views us. AAPR: As we close, do you have any particular words of advice for young AAPIs aspiring to careers in government and public service? Dr. Choi: We really need to look for opportunities to be a leader whether or not a title is involved, especially when we identify a need that faces our community. I think it’s great to emphasize the need for leadership, but I would urge that the definition be expanded to reflect that everybody can be a leader even without a title. For example, if you identify a need to prevent food waste, then figure out a way to mobilize, collect all the food, and get it to shelters. What you’re doing is showing leadership through public service. And you may not have any kind of title at all, but you’re identifying something that will serve the greater good and making something happen. To me, that’s the kind of leadership that we want to inspire. I’m not suggesting that people shouldn’t aspire to high positions—to be sure, Asian Americans need to aspire to positions where they are not adequately represented. But an overly exclusionary view of leadership can lead people to think, “I’m a terrible public speaker,” or “I can’t imagine ever holding an elected office.” Leadership is about identifying needs, taking action, mobilizing, and trying to fix a situation that isn’t where it needs to be. And that’s something every one of us can do. I know the title of the Young Leaders Summit was “Rise Up,” but I would frame it differently. Talking about a “ceiling” implies a level of subordination. We’re all on equal footing. We’re already there. We’re at the same level. If anything, I would say: break down the door and take a seat at the table! Cheung, Daniel Minyong. 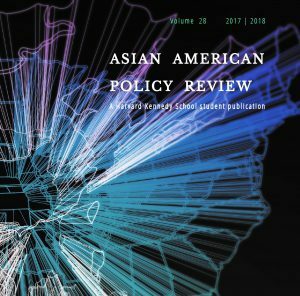 “An Interview with Dr. Elisa Choi.” Asian American Policy Review 27 (2017): 85-90.